Nutrition and Community at Friendship Court: Friendship Court, an affordable housing community of 150 very low income households, is managed by Piedmont Housing Alliance (PHA), which offers an after school program, complete with snacks, for children who are residents. The previous source of the snacks is no longer able to provide the food. Our Women United grant will bridge funding of $20,000 for a year while they complete the process of qualifying for a USDA program that would supply snacks. PHA will provide 30-40 children with healthy, locally sourced snacks five days a week for the ten months that school is in session. The grant money will pay for both the food and three hours of staff time per week to obtain and serve the food. The group of approximately 100 children who will benefit from the grant are aged 3 to 18 years old, 93% of whom live in female-headed households, and have a median family income of $11,000 per year. The residents are predominately African American. 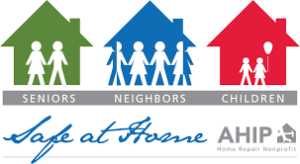 Children Safe at Home is a household repair program through Albemarle Housing Improvement Program that responds when there is an urgent call from homeowners for critical repairs to ensure that their children have safe and secure homes. Women United’s $20,000 grant will be used to make 30 critical home repairs for low-income families in 2017. Funds will be used for project planning and estimating, labor, building materials and supplies. 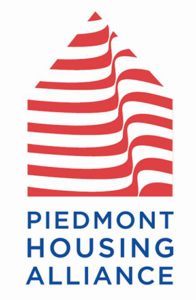 The target population to benefit from this grant is low income, home-owning families with children under 18 years of age in the Charlottesville and Albemarle area. In the past year, the population served by this program was 60% African American or Hispanic, with 23% of the families being headed by a single parent; the average annual income in these households was $30,049. Please visit http://www.ahipva.org/ for more information. Foothills Child Advocacy Center provides a coordinated system of effective response and intervention to children who have been victimized. Their goals are to minimize trauma, promote healing, and ensure child safety. Women United’s $25,000 grant will provide training for professionals who serve child abuse victims and their families so that they can continue to provide a coordinated, evidence-based, culturally competent, and compassionate response that helps reduce trauma for these children, ensure their healing, and keep them safe. These trainings will address two new and significant challenges in child abuse intervention: (1) identifying and providing an appropriate response to victims of human trafficking under the age of 18 in the Charlottesville/Albemarle area and (2) improving medical care of child abuse victims in the community. The Charlottesville Works Initiative assists Charlottesville families striving to achieve self-reliance. In the Charlottesville region, 5,281 families (17 percent), mostly single mothers and their children, do not make enough money to pay for the essentials of life—food, shelter, clothing and utilities—and the added costs associated with working—childcare and transportation. Charlottesville Works Initiative will utilize Women United’s $25,000 grant to identify these families and increase their income to a level of self-sufficiency by identifying jobs within their reach and positioning them to secure and excel in those jobs. Charlottesville’s City of Promise is a Promise Neighborhood initiative designed to create a continuum of solutions with the potential to significantly improve the educational and developmental outcomes of children and youth in the 10th and Page, Westhaven, and Star Hill neighborhoods. Women United’s $10,000 grant will be used to provide evidence-based academic coaching for 20 youth ages 12-17 in the City of Promise Neighborhood (Westhaven, 10th& Page, Starr Hill). Students will be selected on the basis of need, and will also receive wrap-around supports through City of Promise and its community partners to ensure their ability to thrive academically, personally and eventually professionally.